The old saying “An apple a day keeps the doctor away” appears to be true. Many studies have shown that apple consumption was repeatedly associated with a reduced risk of heart disease, cancer, asthma and type 2 diabetes, when compared to other fruits and vegetables. So what makes the apple so special among other fruits? Researchers believe that the high content of flavonoids, like quercetin, contribute to its protective effects against heart disease and asthma. 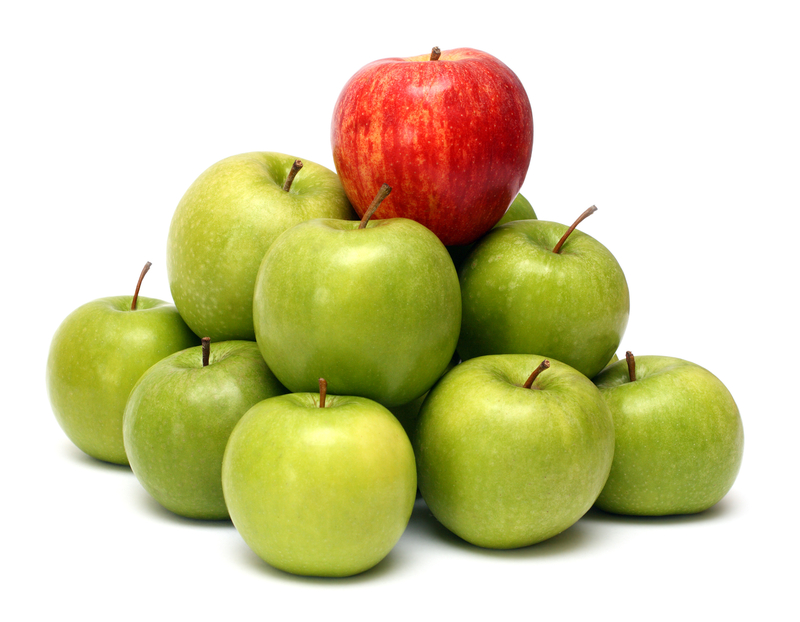 Apples are also very high in pectin, a soluble fiber, which has many benefits such as lowering cholesterol levels. One medium (5-ounce) unpeeled apple provides 3 grams of fiber, which is more than 10 percent of the daily fiber intake recommended by experts. Apples are also high in vitamin C and a good source of potassium. Most of the important nutrients in apples are contained in its skin, and raw apples are higher in many nutrients and phytochemicals as well. Apples are among the top foods containing pesticide residues, and I recommend selecting organically grown apples. If you cannot get organically grown, ensure that you wash your nonorganic apples with a safe produce wash and gently rinse with cool water. If you have any quick serving ideas I would love to hear them! So don’t forget to eat your apple a day to keep the doctor away! One of my favorite green foods is kale. It is super healthy and nutritious with many health benefits. I like to eat it raw, lightly steamed or cooked. I started to eat a lot of kale while I was pregnant as I don’t drink milk and needed to load up on calcium. After doing some research I discovered that kale is actually higher in calcium than milk when compared per calorie – I hit the jackpot! At first it was hard to eat everyday but, the more I started to experiment with recipes and changing things up, the easier it became to eat! My lazy way of ensuring that I get all of the wonderful nutrients and antioxidants from kale is to make smoothies. It’s quick, easy and super nutritious! Even my daughter loves them! Another way I eat kale is in salads. There are so many variations you can make – it’s endless! I will usually massage my kale with lemon and pink Himalayan sea salt to soften it up which makes it easier to eat! Kale is full of vitamins which include vitamin A, C and K. Vitamin A is very good for your skin and vision. Vitamin C is also great for the skin and may assist in anti-aging. It is essential for your immune system and fighting off viruses. Kale is also full of vitamin K which is a powerful aid in bone health. Kale also contains calcium (more per calorie than milk) which together with vitamin K, help to maintain healthy bones. Once again, per calorie, kale has more iron than beef and is often referred to as the “new beef”. Kale contains omega-3 fatty acids which help fight arthritis, asthma, and other autoimmune disorders. By eating kale you will help prevent and also treat these disorders which are caused by inflammation. Kale is a very rich source of immune-boosting antioxidants such as carotenoids and flavanoids. These are great for cancer prevention and overall health. 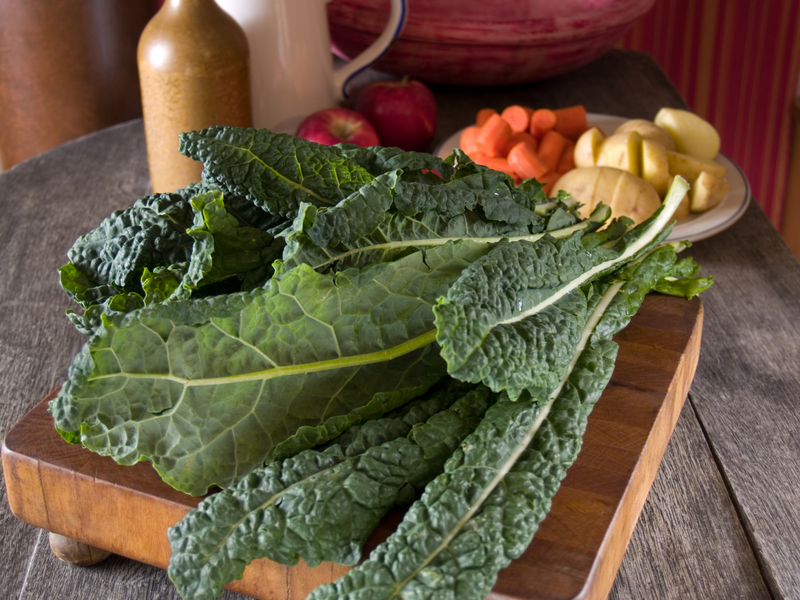 The fiber and sulfur in kale aid in detoxification and liver health. So kudos to kale and make sure you load up!